Aleading third party logistics and distribution company, Logistix Worldwide serves a range of customers whose operations are based entirely overseas. It manages receiving and shipping, responds all customer service inquiries, and provides day-to-day inventory management on behalf of their customers. Logistix was challenged to provide its customers with real-time visibility to the shipping status of their orders and inventory levels. In this scenario, a general solution is to increase the customer support staff handling inbound customer calls at any time of day. 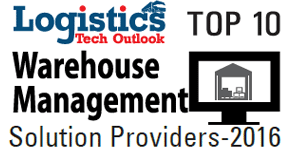 Instead, Logistix selected 3PL Central’s on-demand, cloud based, Warehouse Management Solution (WMS) named 3PL Warehouse Manager after carefully considering their customers’ needs, a thorough evaluation of available software options, and related costs. Now, they are able to manage their distribution activities and enable its customers track their shipments and inventory with a real time WMS system. With the presence of Information Technology (IT), radical changes have been observed in diverse industrial sectors. Businesses are now global and the competition is fierce. E-commerce has forced not only the large but the small and the medium enterprises to invest in and focus on supply chain globalization. Factors like managing logistics, warehouse management, cost control, sundry laws and regulations across borders, maintaining customer service and quality are challenging CXOs to adopt unconventional processes. Increase on-time performance and realizing efficiencies in warehouse management, cloud based WMS are emerging as a disruptive technology in logistics. “We believe 3PL Warehouse Manager is perfectly positioned to fill this market need,” says John Watkins, president and CEO, 3PL Central. Based out of Manhattan Beach, CA, 3PL Central offers cloud based WMS to third party logistics, public warehouses and wide-ranging warehouse operations. The logistics landscape can be divided into four major sectors- Third party logistics providers, E-commerce retailers, Retail distributions, and Manufactures. Each sector faces unique challenges. Third party logistics deals with multiple customers demanding real-time information, electronic data interchange and other technology based solutions. 3PL Warehouse Manager caters turnkey integrations with latest warehouse management technologies.E-commerce retailers are challenged to support Omni-channel supply chain. Another 3PL Central’s product, Red Rock Warehouse Manager handles these multiple-type fulfillments. With the ever changing retailer requirements Red Rock Warehouse Manager also helps retail distribution centers meet distribution requirements. 3PL Central also provides features necessary to handle multiple types of manufacturing environments. 3PL Central serves small-to-medium sized third party logistics to private Fortune 500 distribution centers. The products offered by the company are based on Software-as-a-Service (SaaS) model. Third party logistics, public warehouse and warehouse operations can be accessed on a monthly fee basis. The SaaS model significantly reduces the total cost of ownership of supply chain execution software. Providing enterprise-class WMS functionality, the model is free from traditional buy upgrade maintain software cycle. “More than ever, our customers will benefit from 3PL Central’s comprehensive SaaS warehouse management platform, particularly those customers serving the ecommerce market,” comments Watkins. Keeping customers’ interest in focus 3PL central’s WMS also serves as an inventory management platform. This helps Subject Matter Experts (SME) run other operations smoothly. Warehouse management can be broken down into a number of distinct phases Receiving, Storing Processing Requests and Orders Picking, Packing and Shipping Managing Shipments, and Processing Returned Items. With Clear vision, strong planning and technical insight into the Internet’s capabilities 3PL is committed to maximize the IT’s potential for a better WMS in future.